Immersive learning in VR - overcome boundaries and increase success! Immersive learning in VR – overcome boundaries and increase success! We humans are constantly on the lookout for new ways to impart knowledge. This is simpler and more efficient than before. Knowledge and education are the foundations of a functioning society. Can Virtual Reality help you to share your knowledge? We are proud to have been awarded the “Immersive Learning Award” for our new technology in the education and training sector. In this article we show you why VR can also be the right solution for you! How do we learn these days? In order to reflect on how virtual reality can help us learn, we should ask ourselves an important question – how do people actually learn nowadays? We acquire a large part of our knowledge theoretically today. At school or university in particular, we learn what others have prepared and thought over for us. This knowledge has been written in textbooks and accompanies us throughout our lives. Typically we don’t visit a library anymore to get answers to specific questions. For most questions we use search engines like Google and Co. We search for documents or texts that give us the knowledge. But the learning process does not simply stop after school or university. All of us continue to develop every day through the things we do and experience. Be it at work or in our free time. Emotions and recurring tasks or things that we practice remain in our memories. Increase the learning success of your users with Virtual Reality! Virtual Reality does not only mean “Gaming”. VR offers the users interaction, immersion and true experiences, but it has a much broader field of application than is often assumed. Motivate your users to fully understand your content by immersing themselves in it! This will reduce the cognitive burden on your users, making it much easier for them to process the information. Here are a few characteristics that make VR a really powerful educational tool. Everybody knows surely, that things that have moved us, that have at some point produced emotions in us, remain in our memories. Be they emotions of joy, compassion, fear or sadness. We tend to associate these emotions with images and store them in our memory in an easily retrievable form. Through Virtual Reality you are able to generate these emotions, bring people to realms of facts. Let them experience your messages. Practical experience? No longer a problem with VR! The phrase “learning by doing” is familiar to all of us and has long been an established term. It is true that it is much easier for us to remember things we have already done. 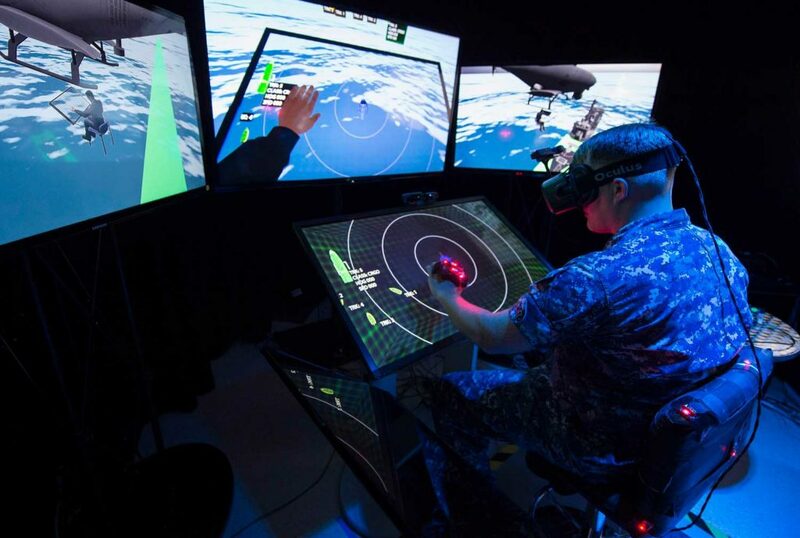 In a virtual reality environment, users can interact with things in your world. By giving them the opportunity to decide which paths to choose next, they learn in a fun way by making decisions and taking actions. They will be able to cope much better with certain situations in everyday life or at work if they have practised or been taught these scenarios in VR. Cramped spaces, nervousness, poor lighting, stress or anxiety are just a few factors that are an obstacle to good learning performance. 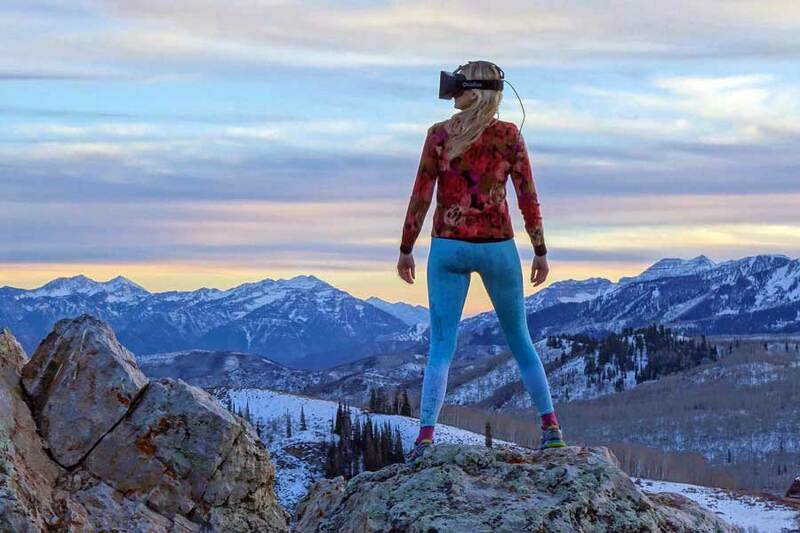 With VR there are no more limits to physical possibilities. Let your creativity run wild when designing VR learning environments and create enjoyable spaces for your users. You can achieve just as much success if you offer your users the opportunity to become creative themselves. Why not replace the standard presentation software PowerPoint with a modern presentation in Virtual Reality? With the mobfish VR STUDIO you are able to do both! The user administration allows you to share individual projects with different participants or users. Due to the intuitive interface it is possible for anyone to become a VR author – no programming skills required. Transport your users to real life destinations instead of simply telling them about them. Books or documentaries about ancient Rome or Egypt are great sources for learning about those times. Unfortunately, this information often doesn’t stick for long. But what if you transport your users to places you tell them about? Create a wow effect, overcome physical limitations, and gain the undivided attention of your users – be remembered! As already mentioned, VR is not only confined to the gaming industry. The application possibilities are almost infinite. From education in schools and universities to training for company employees and virtual city tours. Everything is possible. 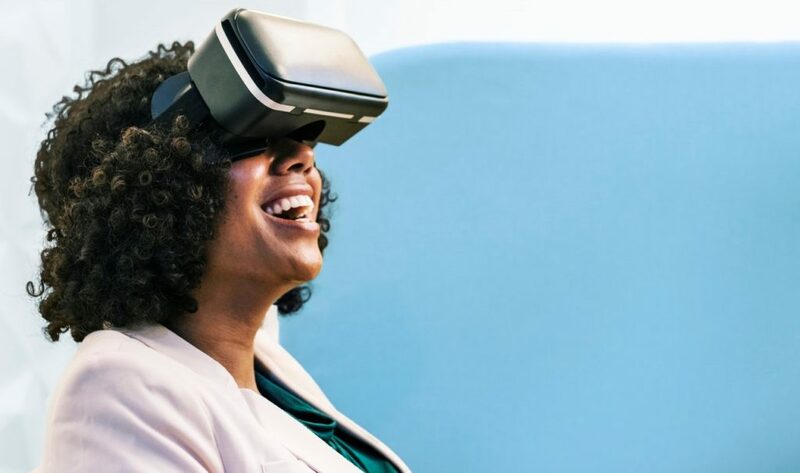 Unfortunately, the term Virtual Reality is often misinterpreted and is therefore not included in the short list of suitable presentation media. It is often associated with very detailed rendered 3D worlds, which reflect the real world as precisely as possible through cost-intensive animations. VR is not designed to depict the real world as accurately as possible. It should rather give the user the feeling that what they are feeling – the immersion – is real. It doesn’t matter if it’s an animated world or just a simple 360° photo. VR doesn’t have to be expensive! With the mobfish VR STUDIO you don’t have to worry about whether your users have the technical means to access your learning content. Dank unseres Cross-Plattform Feature, kannst du deine Inhalte auf allen relevanten Plattformen veröffentlichen. Smartphones, Desktop Computer oder VR Endgeräte! Be a part of the digital future and stand out from the crowd with your learning content.